SMi Group are proud to announce the 21st annual Global MilSatCom conference and exhibition will return to London on the 5th – 7th November 2019: providing comprehensive overview of how allied partners are working to maintain and sustain space superiority. Hosted over 3 inclusive days Global MilSatCom is once again set against sweeping developments for numerous national sovereign SATCOM programmes; in particular, the development of the host nations SKYNET constellation – but also across key allied programmes such as WGS, SATCOMbw, MUOS, SICRAL and SYRACUSE. How this sovereign bandwidth can be pooled and augmented with COMSATCOM also remains essential as NATO is set to sign a memorandum of understanding with key partners to deliver future coalition C4i capability. There also continues to be intense focus on how we remain ahead of our adversaries in space – reflected in the enterprise wide reorganisation endeavours within the US DoD – including the standing up of the Space COCOM & ‘go fast’ procurement efforts such as SMC 2.0. – set to be explored in a dedicated day of US content. Europe’s leading military satellite event will return to discuss key topics challenging the industry, including emergent LEO mega-constellations, resilience, payload delivery, and BLOS capability – ultimately reviewing how future SATCOM can deliver the bandwidth and connectivity demanded by the warfighter. PLUS, back by popular demand, we will once again host a dedicated pre-conference Small Satellites and Disruptive Technology focus day on the 4th November 2019, analysing LEO small satellite constellations and how we can exploit these networks to deliver more capability on the ground. Airbus are world leaders in providing global fixed and mobile secure communication services to governments, militaries and security forces. Indeed, as the world’s number one private-sector military communications provider, we deliver the flexibility, resiliency and security required by demanding governments and militaries . And we do this for all communications applications, whether they’re land, airborne or naval. As a truly global organisation, we at Airbus understand local markets, allowing us to support our customers wherever they are. With regional strategic sales and support services in Europe, the Americas, the Middle East, Africa and Asia Pacific, our presence on the ground where our customers need us most is bolstered by our global reach. View details COMSAT Sponsors http://www.satcomdirect.com COMSAT, an SD company, is a leading provider of customized, secure end-to-end satellite communications services. COMSAT delivers a full portfolio of fixed satellite solutions (C-Band, Ku-Band, Ka-Band, X-Band and UHF), mobile satellite solutions (Inmarsat, Thuraya and Iridium) and teleport services to aeronautical, land mobile and maritime users in multiple markets. View details GetSAT Sponsors http://www.getsat.com GetSAT is the leading provider of Micronized Satellite Terminals. The InterFlat is the latest breakthrough in antenna panel technology, providing the world’s highest efficiency performance in the smallest package. Combining the InterFlat with our state-of-the-art control and tracking mechanism, creates the most powerful and fully contained satellite terminal system. The InterFlat is a leap forward in capability and SWaP, enabling us to provide truly portable, full duplex, wide-band satellite communications. GetSAT customers include top tier defense, commercial and technology companies. The GetSAT team is composed of industry-leading experts with multi-disciplinary skills, dedicated to providing an exceptional, agile and affordable customer experience. View details GovSat Sponsors http://www.govsat.lu GovSat is a Luxembourg-based satellite operator. Its mission is to provide secure, reliable and accessible governmental satellite communication services to address the demand resulting from defence and institutional security applications. Its first satellite, GovSat-1, is a multi-mission satellite using X-band and Military Ka-band frequencies on high-power and fully steerable mission beams. View details Kratos Sponsors http://www.kratosrtlogic.com Kratos helps ensure customers are “Ready for What’s Next” in the rapidly changing satellite industry by improving operational efficiencies and managing the complexities across the ground. From RF interference mitigation and cancellation, end-to-end network management, signal processing, to command & control, Kratos products and services are used by more than 80 percent of the world’s satellite operators and 90 percent of U.S.-based space missions. Kratos develops, integrates and sustains technology ensuring space communications superiority. View details Laser Communications Coalition Sponsors http://www.northropgrumman.com Laser Communications Coalition (LCC) - Formed to accelerate the deployment of space-based laser communications. The LCC offers warfighters highly directional (covert, secure, anti-jam) communications that are low risk and affordable. Northrop Grumman, LCC lead company, provides the innovative ESPAStar satellite platform, General Atomics provides the Airborne Laser Communications Terminal and the Unmanned Aerial Vehicle, MQ-9 Reaper / Predator B, and TESAT Spacecom brings the Space-based Laser Communications Terminal, known as the LCT-135. View details Lockheed Martin Sponsors http://www.lockheedmartin.com Headquartered in Bethesda, Maryland, Lockheed Martin is a global security and aerospace company that employs approximately 100,000 people worldwide and is principally engaged in the research, design, development, manufacture, integration and sustainment of advanced technology systems, products and services. View details Newtec Sponsors https://www.newtec.eu Newtec supports different applications and network configurations in the civil, government and defense market place. The understanding of your application in combination with our satellite communication products leads to reliable, cost-effective and bandwidth-efficient solutions. Every government and defense application and project brings new challenges and specific needs. By being close to the customer Newtec provides the best solution fit in terms of technology and products. A perquisite for Newtec is to make every project a success and assure mission critical communications over satellite at all times. View details Raytheon Sponsors http://www.Raytheon.com Raytheon Company is a technology and innovation leader specializing in defense, civil government and cybersecurity solutions. Raytheon provides state-of-the-art electronics, mission systems integration, C5I™ products and services, sensing, effects, and mission support for customers in more than 80 countries. Raytheon is headquartered in Waltham, Massachusetts. Follow us on Twitter. View details SES Government Solutions Sponsors http://www.ses-gs.com SES Government Solutions, a subsidiary of global satellite operator SES, is exclusively focused on meeting the satellite communications needs of the U.S. Government. Leveraging more than four decades of experience in the government SATCOM market, SES Government Solutions offers robust and secure end-to-end satellite communications solutions. View details Thales Sponsors http://www.thalesgroup.com Thales is a global technology leader for the Aerospace, Transport, Defence and Security markets. With 64,000 employees in 56 countries, Thales reported sales of €14.9 billion in 2016. With over 25,000 engineers and researchers, Thales has a unique capability to design and deploy equipment, systems and services to meet the most complex security requirements. Its unique international footprint allows it to work closely with its customers all over the world. Thales is a leading global supplier of secure end-to-end satellite communication solutions for land, air and naval forces, using civilian and military satellites. The company is prime contractor and responsible for implementation of France's Syracuse III ground segment and networks. The company is also in charge of convergence of the Astride/Syracuse theatre networks and is prime contractor for the Venus On the Move French VAB light armoured vehicles for the French armed forces. Since 2001, Thales Alenia Space has supplied 15 military or dual-use satellites to armed forces in France, Italy, Germany, Brazil and the Middle East. Thales’s System 21 multi-waveform satcom transmission system offers anti-jam capability, complies with NATO standards and is deployed in France and other NATO member countries. View details Viasat Sponsors http://www.viasat.com At Viasat, we’re driven to connect every warfighter, platform, and node in the battlespace. As a global communications company, we power millions of fast, resilient connections for military forces around the world – connections with the capacity to transform the mission – in the air, on the ground, and at sea. Our customers depend on us for connectivity that counts, whether we’re securing the U.S. Government’s networks, delivering satellite and wireless communications to the remote edges of the battlespace, or providing senior leaders with the ability to perform mission-critical communications while in flight. We’re driven to redefine connectivity for the battlespace. View details Hytec Inter Exhibitors http://www.hytec.co.jp/english Hytec Inter provides solutions for streaming live video over bandwidth constrained networks. Powered by our unique video codec HEVC-ULC, we make it possible to deliver critical video feeds stably over Tactical IP radio, 3G/LTE or satellite links. Our solutions have been developed for applications in defence, disaster relief, SAR and border control. View details iDirect Exhibitors http://www.idirect.net VT iDirect is a global leader in IP-based satellite communications providing technology and solutions that enable our partners worldwide to optimize their networks, differentiate their services and profitably expand their businesses. Our product portfolio, branded under the name iDirect, sets standards in performance and efficiency to deliver voice, video and data connectivity anywhere in the world. View details INSTER Exhibitors http://www.inster.es Inster designs and manufactures reliable SATCOM equipment for military satellite communications where the mobility and portability are the key factors: •	High efficiency Low profile SOTM and Manpack Terminals based in phase array technology. •	Highly Portable Tactical Satcom Terminals with rapid and accurate auto-acquisition in backpack and single case configurations. View details SCISYS Exhibitors http://www.scisys.co.uk The SCISYS Group is a leading provider of Space and Defence software and IT services. We work with national governments, Armed Forces and across the supply chain to develop robust, real-world software solutions and services that create an operational advantage. View details Teledyne Paradise Datacom Exhibitors http://www.teledyneparadisedatacom.com Teledyne Paradise Datacom, part of the Teledyne Defense Electronics Group, provides the satcom industry with a broad portfolio of modems, SSPAs and other amplifiers, and related products. Flagship products include unique indoor/outdoor SSPA systems like PowerMAX, and the “Q” series software-defined modem line, the most versatile modems in the industry. View details XTAR, LLC Exhibitors http://www.xtar.com/ XTAR, LLC is a privately owned satellite operator delivering X-band services to U.S. and Allied government users. XTAR’s two satellite payloads, with high-powered global, fixed and steerable spot beams, are WGS-compatible and readily support mobile applications in the harshest environments. Available coverage is from Denver east to Singapore. View details GVF (Global VSAT Forum) Key Media Partners http://www.gvf.org GVF is the single and unified voice of the global satellite industry. 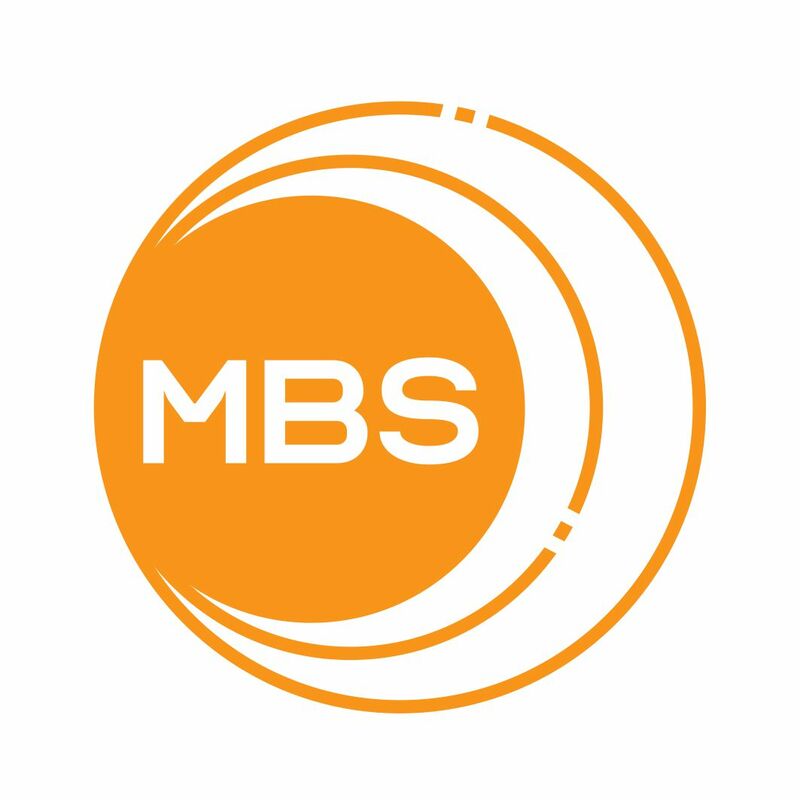 Founded in 1997, it brings together organisations engaged in the delivery of advanced broadband and narrowband satellite services to consumers, and commercial and government enterprises worldwide. Headquartered in London, GVF is an independent, non-partisan and non-profit organisation with 230+ members from more than 100 countries. The broad-based membership represents every major world region and every sector of the satellite industry, including fixed and mobile satellite operators, satellite network operators, teleports, satellite earth station manufacturers, system integrators, value added and enhanced service providers, telecom carriers, consultants, law firms, and users. View details Air International Supporters http://www.airinternational.com Over the years, AIR International has established an unrivalled reputation for authoritative reporting and coverage across the full spectrum of aviation subjects. With more pages than ever, all still dedicated to commercial and military aviation, we have more correspondents and top aviation writers from around the world, offering even more exciting news, features and stunning photography. View details AirForces Monthly Supporters http://www.airforcesmonthly.com AirForces Monthly magazine is devoted to modern military aircraft and their air arms, it provides the best military aviation news coverage from its global network of correspondents and is essential reading for anyone seeking a well-informed view. AirForces Monthly has built up a formidable reputation worldwide by reporting from places not generally covered by other military magazines. View details Aviation News Supporters http://www.aviation-news.co.uk/ As Britain’s longest established monthly aviation journal, Aviation News is renowned for providing the best coverage of every branch of aviation. Now incorporating Classic Aircraft, each issue features the latest news and in-depth features, plus firsthand accounts from pilots putting you in the cockpit. Covering both modern military and civil aircraft, as well as classic types from yesteryear, it features subjects from World War Two, through the Cold War years to present day. Aviation News brings you the past, present and future of flight. View details Crisis Response Journal Supporters http://www.crisis-response.com/ Crisis Response Journal is the international publication focusing on response, resilience, continuity and security issues arising from large scale natural and man-made disasters, emergencies and terrorist attacks. CRJ analyses past events to draw vital lessons for the future, while constantly scanning the horizon to identify and help mitigate new threats. View details Everything RF Supporters http://www.everythingrf.com everything RF - www.everythingRF.com keeps you up to date with the RF & Microwave Industry. We publish industry news, white papers and technical articles. We have the largest RF & Microwave product database on the internet which consists of product catalogs from over 500 Manufacturers. Use parametric search tools to narrow down on products based on your requirement. Download datasheets, compare products and get quotations. Quotations are routed to the manufacturers (or their distributors) who get back to you with the details. Visit www.everythingRF.com to learn more. View details Satellite Interference Reduction Group (IRG) Supporters http://www.suirg.org Satellite Interference Reduction Group (IRG) is the global industry organisation, established to combat the increasing and costly problem of satellite radio frequency interference. It also as a group focuses on the future of satellite communication technology and the effects or issues of that technology relating to interference. IRG has a number of practical initiatives, all aimed at reducing satellite interference, including establishing Carrier ID, Training & Certification and Type Approvals. The group itself comprises working groups, chaired by key industry experts, charged with the task of establishing the practical initiatives and obtaining the support of the entire industry. View details Space Careers Supporters www.space-careers.com Run by space professionals, Space Careers is the fastest and most cost-effective way for employers and recruitment agencies to find skilled candidates within the space and defence industry, all at a fraction of the cost of traditional recruitment channels. Most of the leading European space and defence industry players have already chosen to include Space Careers in their recruitment campaigns and we are confident that your Company could also benefit from our targeted audience. View details World Teleport Association Supporters http://www.worldteleport.org Since 1985, the World Teleport Association (WTA) has been the only trade association that focuses on the business of satellite communications from the ground up. At the core of its membership are the world's most innovative operators of teleports, from independents to multinationals, niche service providers to global carriers. WTA is dedicated to advocating for the interests of teleport operators in the global telecommunications market and promoting excellence in teleport business practice, technology and operations. Companies that do business with teleports also find that WTA is the best investment they can make to open new channels to the industry. COMSAT, an SD company, is a leading provider of customized, secure end-to-end satellite communications services. COMSAT delivers a full portfolio of fixed satellite solutions (C-Band, Ku-Band, Ka-Band, X-Band and UHF), mobile satellite solutions (Inmarsat, Thuraya and Iridium) and teleport services to aeronautical, land mobile and maritime users in multiple markets. GetSAT is the leading provider of Micronized Satellite Terminals. The InterFlat is the latest breakthrough in antenna panel technology, providing the world’s highest efficiency performance in the smallest package. Combining the InterFlat with our state-of-the-art control and tracking mechanism, creates the most powerful and fully contained satellite terminal system. The InterFlat is a leap forward in capability and SWaP, enabling us to provide truly portable, full duplex, wide-band satellite communications. GetSAT customers include top tier defense, commercial and technology companies. The GetSAT team is composed of industry-leading experts with multi-disciplinary skills, dedicated to providing an exceptional, agile and affordable customer experience. GovSat is a Luxembourg-based satellite operator. Its mission is to provide secure, reliable and accessible governmental satellite communication services to address the demand resulting from defence and institutional security applications. Its first satellite, GovSat-1, is a multi-mission satellite using X-band and Military Ka-band frequencies on high-power and fully steerable mission beams. Kratos helps ensure customers are “Ready for What’s Next” in the rapidly changing satellite industry by improving operational efficiencies and managing the complexities across the ground. From RF interference mitigation and cancellation, end-to-end network management, signal processing, to command & control, Kratos products and services are used by more than 80 percent of the world’s satellite operators and 90 percent of U.S.-based space missions. Kratos develops, integrates and sustains technology ensuring space communications superiority. 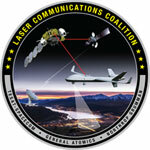 Laser Communications Coalition (LCC) - Formed to accelerate the deployment of space-based laser communications. The LCC offers warfighters highly directional (covert, secure, anti-jam) communications that are low risk and affordable. Northrop Grumman, LCC lead company, provides the innovative ESPAStar satellite platform, General Atomics provides the Airborne Laser Communications Terminal and the Unmanned Aerial Vehicle, MQ-9 Reaper / Predator B, and TESAT Spacecom brings the Space-based Laser Communications Terminal, known as the LCT-135. Newtec supports different applications and network configurations in the civil, government and defense market place. The understanding of your application in combination with our satellite communication products leads to reliable, cost-effective and bandwidth-efficient solutions. Every government and defense application and project brings new challenges and specific needs. By being close to the customer Newtec provides the best solution fit in terms of technology and products. A perquisite for Newtec is to make every project a success and assure mission critical communications over satellite at all times. Raytheon Company is a technology and innovation leader specializing in defense, civil government and cybersecurity solutions. Raytheon provides state-of-the-art electronics, mission systems integration, C5I™ products and services, sensing, effects, and mission support for customers in more than 80 countries. Raytheon is headquartered in Waltham, Massachusetts. Follow us on Twitter. 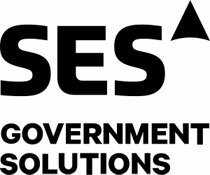 SES Government Solutions, a subsidiary of global satellite operator SES, is exclusively focused on meeting the satellite communications needs of the U.S. Government. Leveraging more than four decades of experience in the government SATCOM market, SES Government Solutions offers robust and secure end-to-end satellite communications solutions. Thales is a global technology leader for the Aerospace, Transport, Defence and Security markets. With 64,000 employees in 56 countries, Thales reported sales of €14.9 billion in 2016. With over 25,000 engineers and researchers, Thales has a unique capability to design and deploy equipment, systems and services to meet the most complex security requirements. Its unique international footprint allows it to work closely with its customers all over the world. Thales is a leading global supplier of secure end-to-end satellite communication solutions for land, air and naval forces, using civilian and military satellites. The company is prime contractor and responsible for implementation of France's Syracuse III ground segment and networks. The company is also in charge of convergence of the Astride/Syracuse theatre networks and is prime contractor for the Venus On the Move French VAB light armoured vehicles for the French armed forces. Since 2001, Thales Alenia Space has supplied 15 military or dual-use satellites to armed forces in France, Italy, Germany, Brazil and the Middle East. Thales’s System 21 multi-waveform satcom transmission system offers anti-jam capability, complies with NATO standards and is deployed in France and other NATO member countries. At Viasat, we’re driven to connect every warfighter, platform, and node in the battlespace. As a global communications company, we power millions of fast, resilient connections for military forces around the world – connections with the capacity to transform the mission – in the air, on the ground, and at sea. Our customers depend on us for connectivity that counts, whether we’re securing the U.S. Government’s networks, delivering satellite and wireless communications to the remote edges of the battlespace, or providing senior leaders with the ability to perform mission-critical communications while in flight. We’re driven to redefine connectivity for the battlespace. Hytec Inter provides solutions for streaming live video over bandwidth constrained networks. Powered by our unique video codec HEVC-ULC, we make it possible to deliver critical video feeds stably over Tactical IP radio, 3G/LTE or satellite links. Our solutions have been developed for applications in defence, disaster relief, SAR and border control. VT iDirect is a global leader in IP-based satellite communications providing technology and solutions that enable our partners worldwide to optimize their networks, differentiate their services and profitably expand their businesses. Our product portfolio, branded under the name iDirect, sets standards in performance and efficiency to deliver voice, video and data connectivity anywhere in the world. Inster designs and manufactures reliable SATCOM equipment for military satellite communications where the mobility and portability are the key factors: •	High efficiency Low profile SOTM and Manpack Terminals based in phase array technology. •	Highly Portable Tactical Satcom Terminals with rapid and accurate auto-acquisition in backpack and single case configurations. The SCISYS Group is a leading provider of Space and Defence software and IT services. We work with national governments, Armed Forces and across the supply chain to develop robust, real-world software solutions and services that create an operational advantage. Teledyne Paradise Datacom, part of the Teledyne Defense Electronics Group, provides the satcom industry with a broad portfolio of modems, SSPAs and other amplifiers, and related products. Flagship products include unique indoor/outdoor SSPA systems like PowerMAX, and the “Q” series software-defined modem line, the most versatile modems in the industry. XTAR, LLC is a privately owned satellite operator delivering X-band services to U.S. and Allied government users. XTAR’s two satellite payloads, with high-powered global, fixed and steerable spot beams, are WGS-compatible and readily support mobile applications in the harshest environments. Available coverage is from Denver east to Singapore. GVF is the single and unified voice of the global satellite industry. Founded in 1997, it brings together organisations engaged in the delivery of advanced broadband and narrowband satellite services to consumers, and commercial and government enterprises worldwide. Headquartered in London, GVF is an independent, non-partisan and non-profit organisation with 230+ members from more than 100 countries. The broad-based membership represents every major world region and every sector of the satellite industry, including fixed and mobile satellite operators, satellite network operators, teleports, satellite earth station manufacturers, system integrators, value added and enhanced service providers, telecom carriers, consultants, law firms, and users. AirForces Monthly magazine is devoted to modern military aircraft and their air arms, it provides the best military aviation news coverage from its global network of correspondents and is essential reading for anyone seeking a well-informed view. AirForces Monthly has built up a formidable reputation worldwide by reporting from places not generally covered by other military magazines. everything RF - www.everythingRF.com keeps you up to date with the RF & Microwave Industry. We publish industry news, white papers and technical articles. We have the largest RF & Microwave product database on the internet which consists of product catalogs from over 500 Manufacturers. Use parametric search tools to narrow down on products based on your requirement. Download datasheets, compare products and get quotations. Quotations are routed to the manufacturers (or their distributors) who get back to you with the details. Visit www.everythingRF.com to learn more. As Britain’s longest established monthly aviation journal, Aviation News is renowned for providing the best coverage of every branch of aviation. Now incorporating Classic Aircraft, each issue features the latest news and in-depth features, plus firsthand accounts from pilots putting you in the cockpit. Covering both modern military and civil aircraft, as well as classic types from yesteryear, it features subjects from World War Two, through the Cold War years to present day. Aviation News brings you the past, present and future of flight. Over the years, AIR International has established an unrivalled reputation for authoritative reporting and coverage across the full spectrum of aviation subjects. With more pages than ever, all still dedicated to commercial and military aviation, we have more correspondents and top aviation writers from around the world, offering even more exciting news, features and stunning photography. 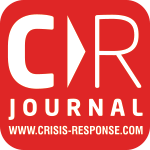 Crisis Response Journal is the international publication focusing on response, resilience, continuity and security issues arising from large scale natural and man-made disasters, emergencies and terrorist attacks. CRJ analyses past events to draw vital lessons for the future, while constantly scanning the horizon to identify and help mitigate new threats. Run by space professionals, Space Careers is the fastest and most cost-effective way for employers and recruitment agencies to find skilled candidates within the space and defence industry, all at a fraction of the cost of traditional recruitment channels. Most of the leading European space and defence industry players have already chosen to include Space Careers in their recruitment campaigns and we are confident that your Company could also benefit from our targeted audience. Satellite Interference Reduction Group (IRG) is the global industry organisation, established to combat the increasing and costly problem of satellite radio frequency interference. It also as a group focuses on the future of satellite communication technology and the effects or issues of that technology relating to interference. IRG has a number of practical initiatives, all aimed at reducing satellite interference, including establishing Carrier ID, Training & Certification and Type Approvals. The group itself comprises working groups, chaired by key industry experts, charged with the task of establishing the practical initiatives and obtaining the support of the entire industry. Since 1985, the World Teleport Association (WTA) has been the only trade association that focuses on the business of satellite communications from the ground up. At the core of its membership are the world's most innovative operators of teleports, from independents to multinationals, niche service providers to global carriers. WTA is dedicated to advocating for the interests of teleport operators in the global telecommunications market and promoting excellence in teleport business practice, technology and operations. Companies that do business with teleports also find that WTA is the best investment they can make to open new channels to the industry.